We have tried to make sure that the links to different content on our website and those that go to other websites are descriptive. For example, instead of a link labelled only "Click Here" we use descriptive text such as "Read About Negative Reinforcement". This is an effort to make it easier to identify what the content will be like if you click through these links. Additionally, for those using screen readers it will better allow you to identify the links that you are really interested in following. We have tried to make sure the standard text size on our website is readable but in some instances you may want to increase or decrease the text. Depending on your browser there are different ways you can do this. We have listed five of the most commonly used browsers and how to change the text size in each below. Additional accessibility information is available through the BBC accessibility website. 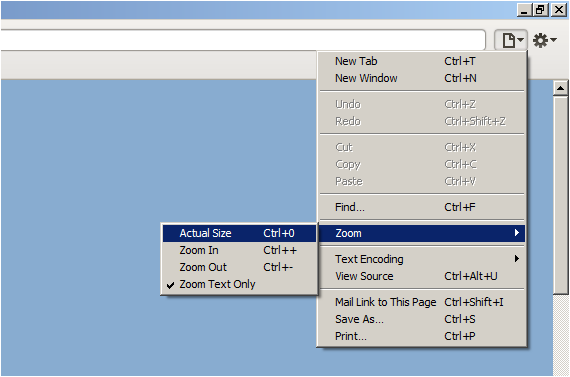 To increase the size of the text in Internet Explorer go to Page > Text Size and then select your desired text size . 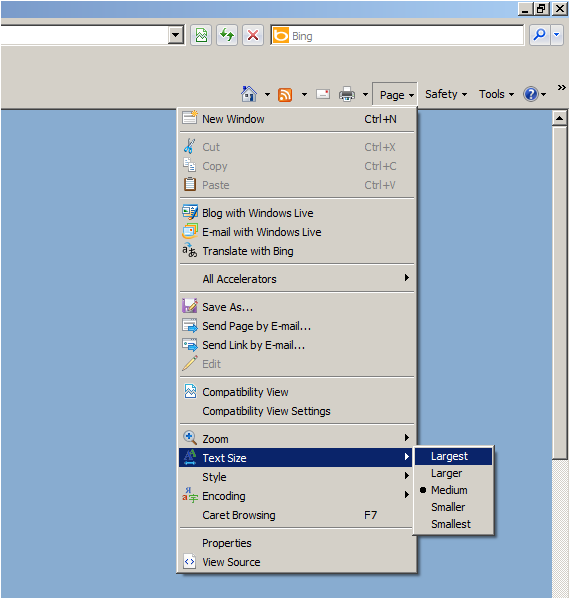 Internet Explorer: Select Page, then Text Size and then select your preferred text size. To increase the size of the text in Firefox first click on View > Zoom > Zoom Text Only, this will select zooming of text only. Then select View > Zoom and then Zoom In or Zoom Out. 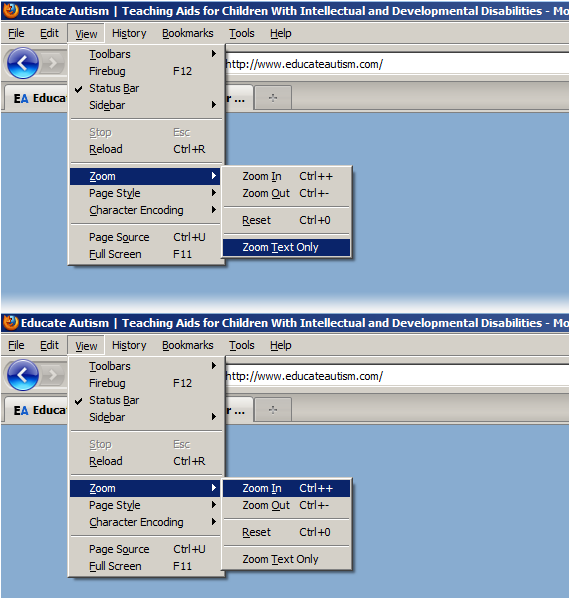 Firefox: First make sure "Zoom Text Only" is selected. 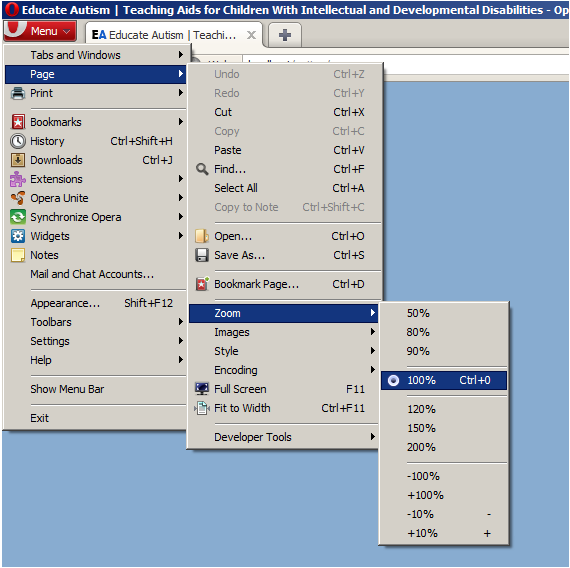 Then select View, then Zoom and then select your preference. In Google Chrome the text itself will not increase with the website remaining the same size. Instead, the entire website will increase in size. To do this click on the "Spanner" icon at the top right of the toolbar > select the Plus or Minus symbols to increase or decrease the size. Chrome: Select the "Spanner" icon and select your preferred zoom percentage. To increase the size of the text in Safari click on the "Paper Icon" on the top right of the toolbar > Zoom > Zoom Text Only. Then again select the "Paper Icon" > Zoom > Zoom In or Out. Safari: Select the "paper icon" then Zoom and select your preference. In Opera the text does not increase and leave the website the same size. Instead, the entire website will increase in size. To do this select Menu > Page > Zoom > Select preferred size. 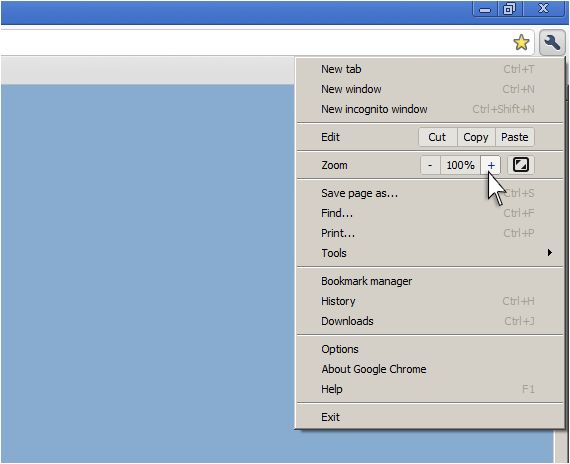 Opera: Select Menu, then Page, then Zoom and select your preference.